There’s no trick here, just a massive treat to all our friends. We’ve commissioned a new font which is available for both desktop use and online as a web font. The attached ZIP includes the font in OpenType (OTF) format for use on your Mac or PC. It also includes webfonts in TTF, SVG, EOT and WOFF formats, suitable for use on your website. Use I Shot the Serif however you like. Use it on posters, on your blog, for your brand or even commercially for clients. It’s free forever. Here’s a preview of the character set, which is particularly great for display purposes. 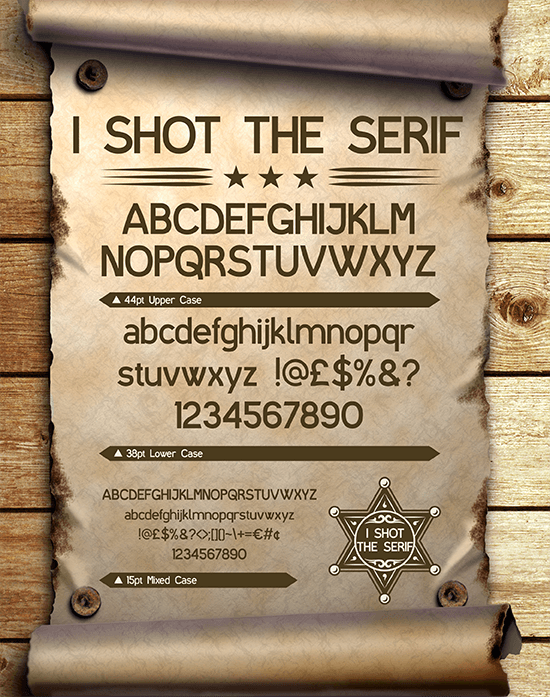 I Shot the Serif is licenced under the Creative Commons Attribution v3.0 Licence which allows you to use it for any purpose, even commercially.